Safety and control at events is important. However, this does not only mean security at major events in the form of cameras, barriers or a large set of security measures. Security and control starts with the small congress. As an event planner, you want to ensure that only those guests who have been invited or registered are granted access. Individual workshop bookings can also be recorded and checked. This requires a simple but effective control of event rights, bookings and attendances. For the later evaluation of the event, entrances or controls are also the right way to see visitor behaviour, workshop utilisation, number of participants or no-shows at a glance. Combined with the analysis capabilities of our online registration and app partners, you can perform in-depth analyses of your event. 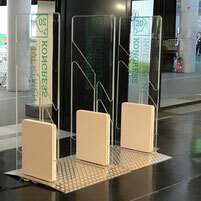 With our state-of-the-art access platform, we offer you the right access system for your event. From convenient attendance recording, digital interaction and live dashboards to secure access control or session and workshop scanning (iPhone or mobile scanner), you receive all the information you need for precise event evaluation. Are a simple and cost-effective variant to carry out an attendee detection. The scanners are handy and provide an overview of check-in times, number of attendees and no-shows. They are the upgrade of the mini scanners. With the handheld scanners, you are mobile and can also carry out your access control at short notice without great effort. The scanners can be used both online and offline and offer you a detailed overall evaluation such as check-in and check-out times, number of attendees, rights control and live overview of room occupancy and presence. 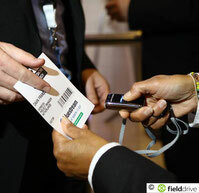 RFID systems offer you and your attendees many possibilities - even beyond the entrance. 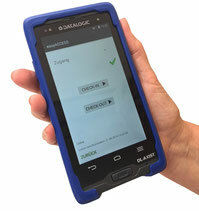 RFID technology is a fast way to realize your access. For example, traffic jams and waiting times at the entrance can be reduced. The visitor service is much more comfortable due to the easy handling with the RFID badges. In addition, you can use RFID to implement paperless information systems, various visitor services or cashless payment solutions. Biometric facial recognition ensures a high level of security and the fastest possible entry.